A good early education childhood program can benefit your child, your family and your community. Your child's educational, physical, personal and social development will be nurtured in a well planned program. 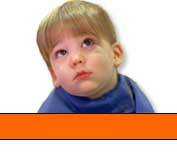  What should you look for in a good early childhood program? Professionals in early childhood education and child development have found several indicators of good quality care for preschool children. You will especially want to meet the adults who will take care for your child - they are responsible for every aspect of the program's operation.  Who will care for your child? 1. The adults enjoy to understand how young children learn and grow. Are the staff members friendly and considerate with each child? Do adult expectations vary appropriately for children of differing ages, needs, and interests? Do the staff members consider themselves to be professionals? Do they read or attend meetings to continue to learn more about how young children grow and develop? Do the staff work toward improving the quality of the program, obtaining a better equipment, and making better use of the space? 2. The staff view themselves positively and therefore can continually foster children's emotional and social development. Do the staff help children feel good about themselves, their activities, and other people? Do the adults listen to children and talk with them? Are the adults gentle while being firm, consistent and yet flexible in their guidance of children? Do the staff members help children learn gradually how to consider others' rights and feelings, to take turns and share, yet also to stand up personal rights when necessary? When children are angry or fearful are they helped to deal with their feelings constructively? 3. There are enough adults to work with a group and care for the individual needs of children. Are infants in groups of no more than 8 children with at least two adults? Are two - and three-year-old children in groups of no more than 14 with at least 2 adults? Are four- and five-year-olds in groups of no more than 20 children with at least 2 adults? 4. All staff members work together cooperatively. Are they willing to adjust the daily activities for children's individual needs and interests? Do the staff stress children's strengths and show pride in their accomplishments? Are records used to help parents and staff better understand the child?